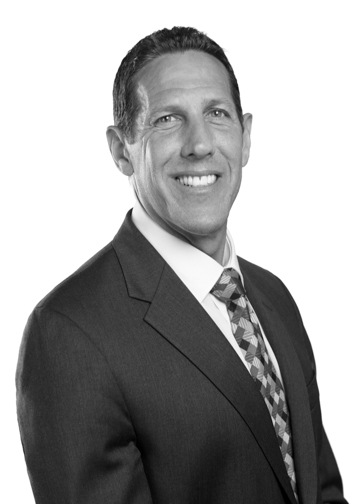 In addition to being the Founder and CEO of Leasing REality, Larry is the Managing Partner of the Commercial Real Estate Department of the bi-coastal law firm Abrams Garfinkel Margolis Bergson, LLP (“AGMB”). He takes great pride in providing his clients with the power to make knowledgeable decisions concerning their business and individual needs. Combining decades of commercial real estate ownership with a professional background in law, accounting, commercial brokerage, property management, construction, planning and development, Larry and his team can be the difference in helping clients navigate the inevitable challenges all businesses face. Larry represents both tenants and landlords, focusing primarily on commercial lease negotiations, in addition to real estate acquisitions, dispositions, construction contracts and due diligence advisory services. Other areas of expertise consist of commercial and residential real estate closings, including the representation of lenders in loan transactions. In addition to maintaining a law practice for nearly 30 years, in 1996 Larry was a co-founding Partner of a full service commercial real estate firm specializing in the development, ownership, management, repositioning and leasing of commercial and high-rise residential properties. Until he moved on in 2007, as its General Counsel and Chief Administrative Officer, Larry’s primary responsibilities were the review, preparation, negotiation and analysis of commercial leases, construction, purchase, sale, operating, acquisition, AIA and employment agreements as well as loan documents and other related commercial agreements. Ancillary to the aforesaid legal responsibilities, Larry was intimately involved in the acquisition, renovation, leasing and management of the firm’s portfolio, including the upgrading and repositioning of the properties in the then emerging markets of Newark and Harlem (including the building where Former President Bill Clinton still maintains his office, in which Larry still holds an ownership interest). Additional responsibilities included advising landlords, tenants and clients, as applicable, concerning purchases, dispositions, leasing, property management and value enhancement strategies. In the early 1990’s, Larry played an integral part in representing institutional purchasers of distressed real estate loan portfolios. Responsibilities included oversight of the receiverships pertaining to the underlying real estate, restructuring and workouts of the office and retail leases and, from a legal perspective, supervision of the due diligence and property management ancillary thereto. Larry resides on Long Island with his wife and their four sons. Larry’s passions include his family, music, skiing and making a difference for charitable programs whose mission is to help those who are not as fortunate (including children with autism and other disabilities). Executive Producer, Director and Writer for the Winner of the 2010 New York International Independent Film and Video Festival Best Educational Documentary: “Making a Difference – The Ascent Youth Alliance to Battle Autism” (view trailer here). Third party management, leasing and subsequent acquisition (1997) of 270 Lafayette Street in SoHo. Larry negotiated lease restructurings with tenants in a building 50% occupied and repositioned the building for successful re-tenanting and rebirth. He invested in building upgrades and resold the building at double its initial sales price in 1999. In partnership with an institutional investor, he acquired 55 West 125th Street (1998) and 215 West 125th Street (2000) in Harlem (then the two largest, privately-owned buildings in Harlem). Larry commenced lease up and capital improvement programs – each building subsequently winning the prestigious Building Owners and Managers Association (BOMA) award. 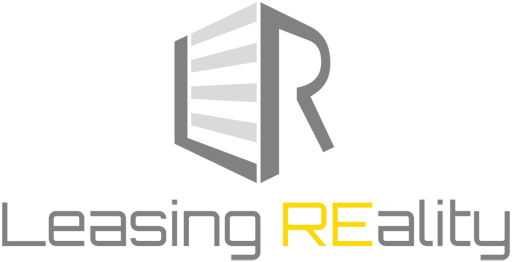 In 2003, the institutional investor was bought out by Larry and his partners, resulting in his group owning 100% of the two properties. In 2006, 90% of the properties were sold to a different institutional investor, and to this day, Larry still retains an ownership interest in the properties. Acquisition of one million square foot 60 Broad Street in Lower Manhattan (2000), when it was 100% leased but only 45% occupied. A purchase contract was finalized containing no construction risk with the closing delayed until the building was 100% occupied, creating significant additional value for the investors. The property was sold at a substantial gain in 2003. Larry is the Founder and Adult Chairman of Ascent Youth Alliance to Battle Autism (AYABA) and 4Boyz Autographs to Battle Autism (4Boyz ABA). Both programs lend a hand in helping local children impacted by autism reach their full potential, by raising funds necessary for their education and enhancement of their socialization skills, as well as by promoting awareness, tolerance and acceptance. Larry has been actively involved in social media since early 2009, including an instructional YouTube video channel focusing on negotiating commercial leases. In addition to regularly training real estate brokers at the Real Estate Board of New York, over the past few years, Larry has conducted numerous training sessions for such companies and schools as Cushman Wakefield, Avison Young, RXR, Baruch College, Brooklyn Law School, ABS Real Estate, Eastern Consolidated, Winick, CBRE, NGKF, Town Commercial and Town Residential, EVO Real Estate Group, Keller Williams NYC, Rutenberg, and the Commercial Industrial Broker’s Society of Long Island. Neil is the partner in charge of AGMB’s Real Estate and Banking Practices. Neil proudly serves as Broker Counsel to the Real Estate Board of New York (“REBNY”), New York City’s leading real estate trade association. In addition to counseling REBNY on the vast array of laws and regulations that affect the real estate brokerage community, AGMB hosts the REBNY Legal Line, a daily legal hotline provided exclusively for residential members of REBNY. 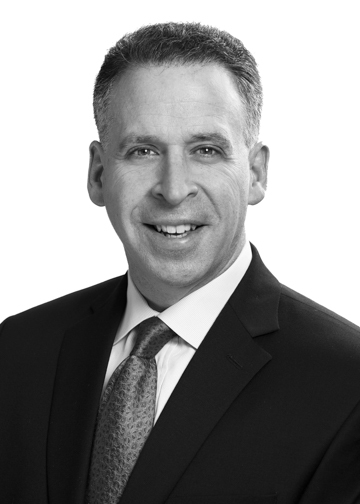 In May 2018, Neil was appointed by Governor Andrew M. Cuomo to serve on the New York State Real Estate Board, which has general authority to promulgate rules and regulations affecting real estate brokers and salespersons in order to administer and effectuate the purposes of New York State Real Property Law as it pertains to real estate licensees. Through his affiliation and participation with REBNY and the Long Island Board of Realtors (“LIBOR”), he has become acutely aware of the many issues that face his real estate broker clients on a daily basis. Accordingly, he counsels his clients on commission disputes, licensing and disclosure requirements, agency issues, employment and wage laws, strategic alliances and affiliated business relationships and disciplinary actions instituted by governmental entities. Neil resides in Great Neck, New York with his wife. He has two children. Neil enjoys teaching and speaking about a variety of real estate, title and lending topics. He is certified by the New York Department of State as an instructor of real estate courses, and frequently teaches at REBNY, real estate broker offices and various bar associations. He has appeared on various television shows, including the CBS Local News, CNBC, Bloomberg News and New York 1 News. Additionally, he has appeared on nationally syndicated radio, has been published in the REBNY Reporter, the Realtor, is a contributing editor to a training manual for the real estate broker community, and has been quoted in the New York Times, Wall Street Journal, Newsday, Reuters, AP, Dow Jones, Forbes.com, Bankrate.com, CNN.com, as well as numerous other publications. 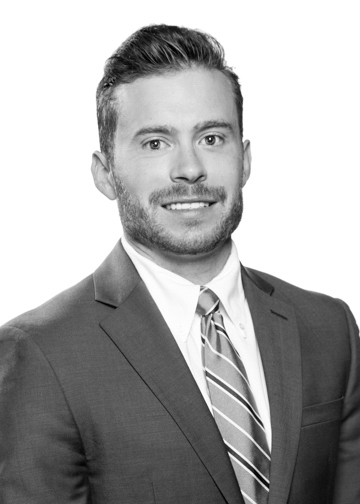 In addition to Ryan’s daily responsibilities in developing and marketing Leasing REality, he is a Legal Assistant as well as the Business Development and Continuing Education Coordinator in AGMB’s Commercial Real Estate Department. His experience includes assisting in commercial leasing transactions, sales and acquisitions as well as coordinating events, speaking engagements and other marketing activities. 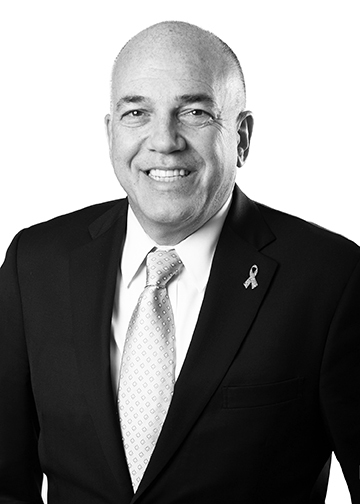 In addition to Mitchell’s responsibilities in overseeing the development and operation of Leasing REality, he is an Associate in AGMB’s Commercial Real Estate Department. His experience includes the representation of both Landlords and Tenants in commercial leasing transactions as well as the representation of clients in commercial sales and acquisitions. Mitchell also represents Landlords and Tenants in residential leasing transactions and Purchasers and Sellers in all facets of residential real estate transactions. 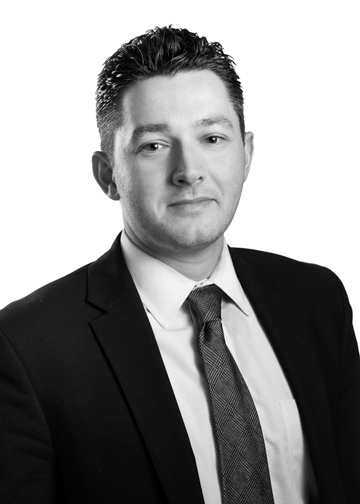 Richard is Senior Counsel in AGMB’s Commercial Real Estate Department. He has over 25 years of experience in a wide range of commercial real estate transactions, including drafting and negotiating leases and subleases for office, retail and industrial space on behalf of both landlords and tenants. Richard has also represented landlords, tenants, investors, developers, businesses and individuals in various real estate transactions, including the acquisition and disposition of office and residential buildings, industrial properties and cooperative and condominium units. Additionally, he has represented cooperative boards and condominium associations in all aspects of their real estate matters. Prior to joining AGMB, Richard served as Senior Counsel at Sleepy’s and practiced real estate law with multiple firms located in New York. As in-house real estate counsel at Sleepy’s, his practice was focused on drafting and negotiating hundreds of retail leases. Richard lends a unique and diverse perspective since he has represented both landlords and tenants, and is well-versed regarding all of the potential issues that can arise in commercial real estate transactions. Richard resides in Melville, New York with his wife and three children. 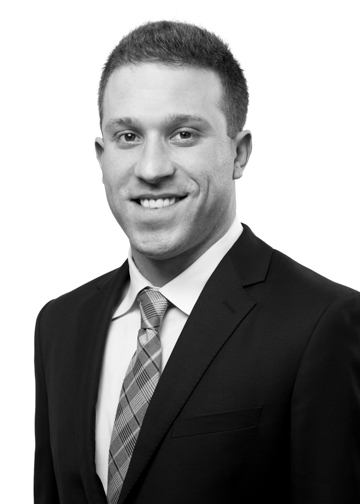 Jared is an Associate in AGMB’s Commercial Real Estate Department. His experience includes the representation of both Landlords and Tenants in commercial leasing transactions as well as the representation of clients in commercial sales and acquisitions. 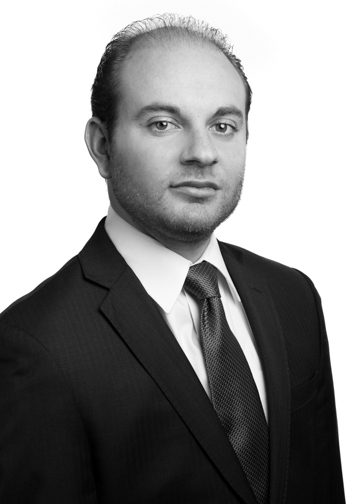 Jared also represents Purchasers, Sellers and Lenders in all facets of residential real estate transactions. He was previously a Real Estate Associate at Davidoff Hutcher & Citron, LLP, and a Team Leader in AGMB’s Banking Practice where he was in charge of mortgage settlement representation for major retail lenders and wholesale mortgage bankers in the State of New York. Kenneth is a Law Clerk in AGMB’s Commercial Real Estate Department. His experience includes the representation of both Landlords and Tenants in commercial leasing transactions as well as the representation of clients in commercial sales and acquisitions. Kenneth also represents Landlords and Tenants in residential leasing transactions and Purchasers and Sellers in all facets of residential real estate transactions.